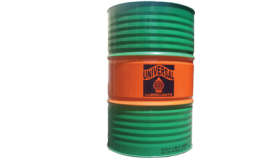 Cylinder lubrication of the latest, highly rated low speed crosshead marine diesel engines operating on low sulphur heavy fuels with a maximum sulphur content of 2.5%. The feed rates recommended by the manufacturer should be maintained as the minimum. Higher feed rates may be required when running new liners and/or rings. Superior thermal and oxidation stability reduces deposit and sludge formation. Excellent detergency minimizes deposits on critical parts viz. pistons, piston rings, ring grooves and cylinder ports. Enhanced anti-wear property minimizes liner and ring wear leading to reduced maintenance costs. Good compatibility with all normal seal materials. may occur when using 70 TBN oils with low sulphur fuels.